Helsinki (FN) – Finnish Epic Speed Metallers CHEVALIER will release their full-length debut album, Destiny Calls, April 26 on Gates of Hell Records. Destiny Calls is separatist speed/epic metal from the frozen climes of Finland that relishes in the unexpected while giving metal fans exactly what they want. 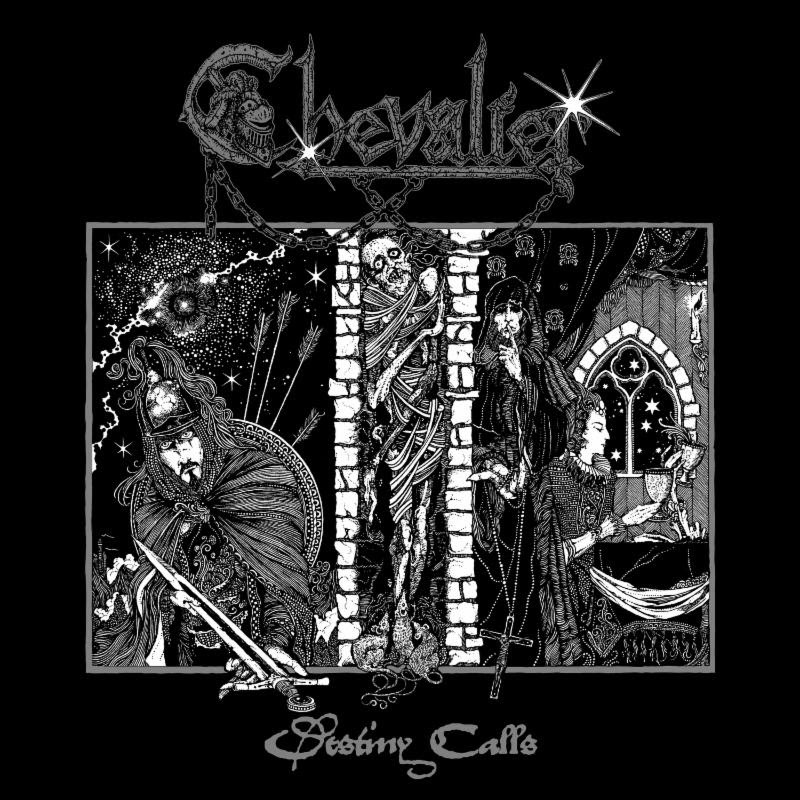 CHEVALIER whips up ferocious speed metal while stretching itself out with epic song arrangements, all capped off by the not-for-the-faint-of-heart vocals of Emma Grönqvist. Bands are often the sum of their influences. Some wear them on their sleeves almost too much, where every riff, vocal line and drumbeat is practically telegraphed, thus, negating any sort of individuality. Others, like Finland’s CHEVALIER are masterful at disguising what brought them into the metal game in the first place. While their avoidance of genre clichés and norms is commendable, it’s the band’s ability to push the envelope while maintaining an air-tight grip on memorable songwriting that makes their first full-length, Destiny Calls, the intrepid endeavor it is. 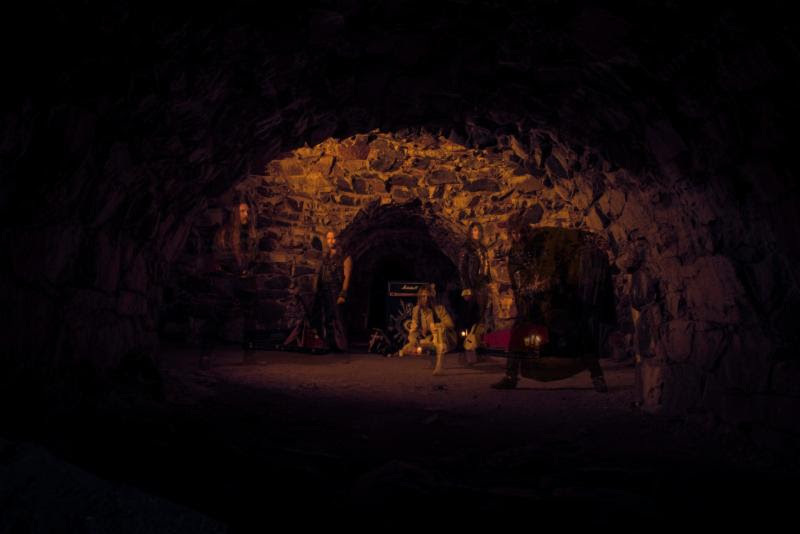 Recorded across two separate sessions in November 2018 at Black Floyd Analog Studio in Hämeenkyrö, CHEVALIER made it a point to ensure the rough and ragged atmosphere found on last year’s Chapitre II EP was captured. The album’s nine cuts — including a re-recording of “The Curse of the Dead Star” from Chapitre II — find CHEVALIER weaving between their speed metal template and labyrinthine song arrangements. It’s a difficult balance to strike, but the band (vocalist Emma Grönqvist, the guitar tandem of Tommi and Mikko, bassist Sebastian Bergman and drummer Joel) found a formula that works for them, namely, the usage of momentous intro segments to kick off each song. From there, it’s off to the races with a deft combination of old-school metal savvy influenced by underrated metal heroes ADX and Omen, mixed with progressive song builds. Grönqvist, handpicked to front CHEVALIER because of her superlative range and the band’s desire to avoid having a generic “metal karaoke” vocalist, is critical to the overall sound of Destiny Calls. She capably controls her powerful lungs on “The Immurement,” “Road of Light” and “Stormbringer,” while teaming up with Tommi on the album’s lyrics, which deal with themes of life, death, freedom and destiny. Even though CHEVALIER is firmly embedded in Finland’s capital of Helsinki, they see themselves as outsiders in a fertile, growing scene. Fitting in or going with current trends is contrary to CHEVALIER’s overall purpose, who, admittedly, are less concerned with recreating the sounds of yore and more inclined to carve a path of their own. It shines through on Destiny Calls, an album that breaks with convention while setting an entirely new speed metal pace.